So where to begin telling you about this gracious, giving man? Graham has a long history of working with the homeless. He says, “helping with the homeless effort is in his blood”. He was a Homeless Coordinator for the Department of Social Services in Maryland; has been chair of the COC and has helped with a women and children’s shelter in Front Royal, VA.
After 47 years of marriage, Graham’s wife passed away 7 years ago. God’s Amazing Grace lead him to Opequon Presbyterian Church where he joined a grief support group but Graham’s involvement in this group was only a part of God’s plan for him. 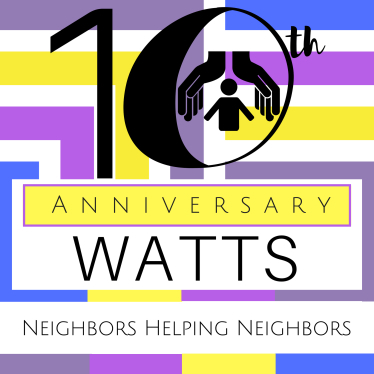 In the fall of 2010 Pastor David Witt introduced Graham to Opequon Church’s lead volunteer for WATTS. Kendra quickly put a very willing Graham to work. Graham served as an overnight volunteer then teamed with Kendra as co-lead volunteer for WATTS. Upon Kendra’s move to North Carolina several years ago, Graham, of course, stepped up as lead volunteer. Graham was not quite content to just serve as lead volunteer, his passion for working with the homeless lead him to attend committee meetings and board meetings. In addition to serving on numerous teams at Opequon Presbyterian Church Graham is also a WATTS Board member and Chair of our Operations Committee. I cannot express my gratitude to Graham for all that he has done to support WATTS and to support me. I do have to say that one of the things I am most grateful for was his willingness to be our “BUS CZAR”!! 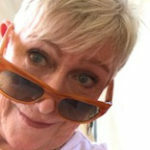 I am clueless when it comes to bus knowledge other than it is big, yellow and has a go peddle and a stop peddle – REALLY!!!! Graham helped “vet” the bus, taking an entire day to travel to Lynchburg with a mechanic. He has coordinated bus moves, making sure the bus is where it is supposed to be and that drivers are returned to their vehicles. He makes sure the bus is running, responding to driver concerns and coordinating necessary repairs. He even responded, without complaint, to my early morning call – “What happens when gasoline not diesel is put into a bus”. (I did say I knew nothing about buses). THAT was an OH, OH moment but handled it was! As was the most recent early AM call “Graham you are not going to believe this one”. Our bus was broken into and vandalized. Czar Graham was on the scene, handled all issues, within a week the situation was addressed at very minimal costs. He even got a lock placed on the door and a bike rack installed in the process! So I am VERY grateful that God’s plan for Graham was to send him to WATTS and I really look forward to continuing to work with him. Thank you – I love you BUS CZAR!